Kent Reliance has reviewed its one-year fixed rate ISA, which now pays 1.45% on maturity or 1.44% monthly. Savers can invest from £1,000 and transfers in from other ISAs are welcomed. Early access is allowed subject to 180 days’ loss of interest. This deal is for savers aged 16 and over and can be operated in branch, by post, by telephone and online. 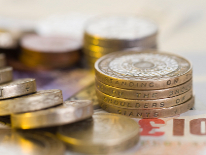 Savers who have yet to invest this year’s tax allowance will have their interest piqued by this latest update from Kent Reliance. Entering the Moneyfacts.co.uk Best Buys, this deal is highly competitive and with the added bonus of early access to funds, albeit subject to a penalty, this deal is likely to be a popular choice for savers looking for some extra flexibility. Paragon Bank has tweaked its three-year fixed rate bond, which is now pays 2.20% upon its anniversary or 2.18% monthly. Additions are permitted within five days of the account opening; however, early access to funds is not allowed. This deal is for savers aged 18 and over and must be operated online. The 2.20% three-year fixed rate from Paragon Bank is highly competitive, sitting within the top 10 of its sector and entering the Moneyfacts.co.uk Best Buys as a result. This should prove to be a popular option for savers looking to invest online over the shorter term. Leeds Building Society has reduced its three-year fixed rate mortgage, which is now priced at 2.39% to 30.6.19. This deal is for all applicants who borrow up to £500,000 at 85% loan-to-value. A fee of £199 is payable, all of which must be paid upfront. An incentive package of free valuation up to a maximum of £999 for all borrowers is available with remortgage customers also receiving help towards costs. This deal has the flexibility of allowing borrowers to make overpayments of up to 10% of the outstanding balance as well as lump sum withdrawals. The 2.39% three-year fixed rate from Leeds Building Society is highly competitive. Not only will borrowers be able to enjoy a great rate but they will also be able to take advantage of a low fee and a fantastic incentive package, which moves this deal into the Moneyfacts.co.uk Best Buys. Yorkshire Building Society has reduced the rate on its three-year fixed rate mortgage, which is now priced at 2.99% to 30.4.19. This deal is for all customers who borrow between £50,000 and £500,000 at 90% loan-to-value. No fee is payable and an incentive package of free valuation for all borrowers is available, along with a £250 rebate for house purchase customers and free legal fees for remortgagors. This deal has the flexibility of being able to make overpayments of up to 10% of the outstanding balance, make underpayments and take payment holidays. Borrowers with a modest 10% deposit will be delighted by this latest update from Yorkshire Building Society. Priced at 2.99%, this three-year fixed rate deal enters the Moneyfacts.co.uk Best Buys. With the added bonus of no fee and a great incentive package, this product is ideal for borrowers who are looking to minimise initial costs. Yorkshire Building Society’s lending area includes Scotland. Ikano Bank has reduced rates on selected tiers of its unsecured personal loan. Customers can now apply for a competitive loan of £7,500 to £15,000 over one to five years with a rate of 3.4% APR. Customers must be at least 18 and have a minimum income of £10,000 per annum. Applications can be made online. Ikano Bank earns an ‘excellent’ Moneyfacts personal loan rating following a reduction to its £7,500 to £15,000 tier. This deal is highly competitive, making it an ideal choice for anyone looking for a cost-effective loan over the longer term.